This book answers all your questions on the basics of inspection and testing with clear reference to the latest legal requirements. 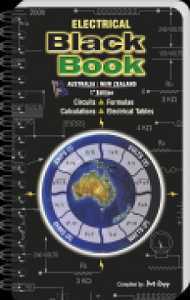 Christopher Kitcher not only tells you what tests are needed but also describes all of them in a step-by-step manner with the help of colour photos. Sample forms show how to verify recorded test results and how to certify and fill in the required documentation. The book is packed with handy advice on how to avoid and solve common problems encountered on the job. 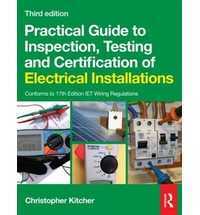 Entirely up to date with the 17th Edition IET Wiring Regulations Step-by-step descriptions and photos of the tests show exactly how to carry them out Covers City &; Guilds 2394, 2395 and Part P courses. 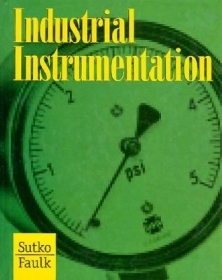 With its focus on the practical side of the actual inspection and testing rather than just the requirements of the regulations, this book is ideal for students, experienced electricians and those working in allied industries on domestic and industrial installations. All of the theory required for passing the City &; Guilds 2394 and 2395 certificates is explained in clear, easy to remember language along with sample questions and scenarios as encountered in the exam. 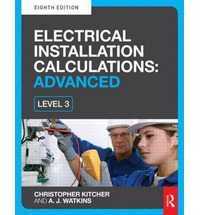 The book will also help prepare students on Part P Competent Person courses, City &; Guilds Level 3 courses, NVQs and apprenticeship programmes for their practical inspection and testing exam.